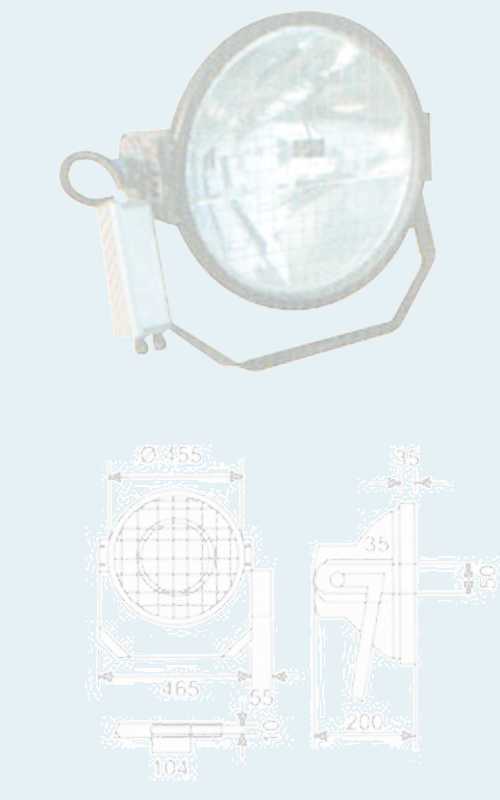 Floodlights with metal halide /mercury lamps 70W, 125W, 250W, 400W, 1000W and 2000W for production halls or store halls, where complete lighting is required. Industrial High-Bay fittings for high halls. Energy economizing by low hanging hight + energy saving lamp technology. Floodlights for attractive, coloured lighting of building, chimney, plant or harbour. Energy saving h.p.s. or m.h. luminaries for secure traffic or landscape lighting. In-ground-lights in mh or fluorescent technology for hidden building lighting. In-ground Led lights, with colour-change option for attractive entrance lumination, way marking or traffic regulation / store signalization / security help. Automatic colour-changing or chasing systems for attractive outdoor lighting. We help in planning, manufacture to customers specification and offer technical support. 48 hours express service for Europe. 74 hours for the most areas worldwide like Middle-East, U.A.E., Russia, Africa. 96 hours for distant areas like Far-East, USA, isles. Export, distribution, wholesale and direct sale of high quality to very exciting prices. Download our electronic catalog incl. pricings or send us your plan or inquiry. - This is the begin to improve your environment. See our offline catalogue including price list and operating manuals.